The Livia Scott Sketch Program - IndieBOOM! Festival - IndieBOOM! 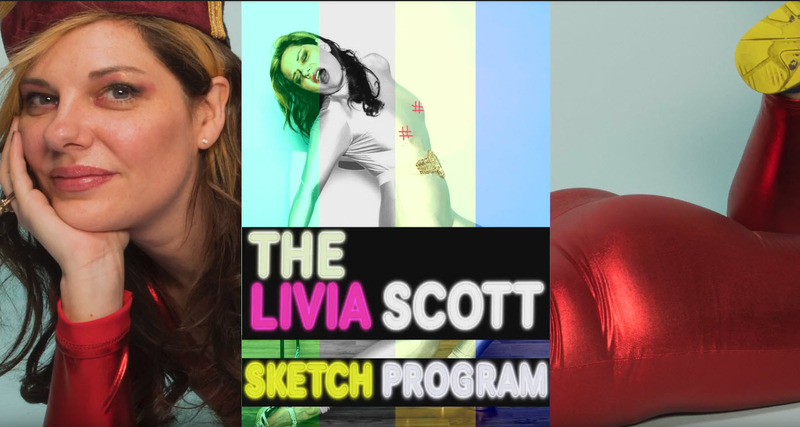 Character chameleon Livia Scott ("One of our favorite women comedians" -The Huffington Post) presents the Livia Scott Sketch Program pilot - developed from her monthly show at UCB ("One of the best and most imaginative shows in the city" -The New York Times). This pilot sharply confronts white supremacy, misogyny, the perils of capitalism, gentrification and the advancements of artificial intelligence while celebrating the unique and absurdly beautiful magic of being human. Cast and creative team that includes SNL's Sasheer Zamata, Keisha Zollar (Orange Is The New Black) rising star Cole Escola, comedy icon Eddie Pepitone; writers include Emily Altman (Unbreakable Kimmy Schmidt) and David Simpatico (High School Musical). Livia is proud to share this labor of love with you.